Peter Jennings was one of American television's most prominent journalists. Check out this biography to know about his birthday, childhood, family life, achievements and fun facts about him. 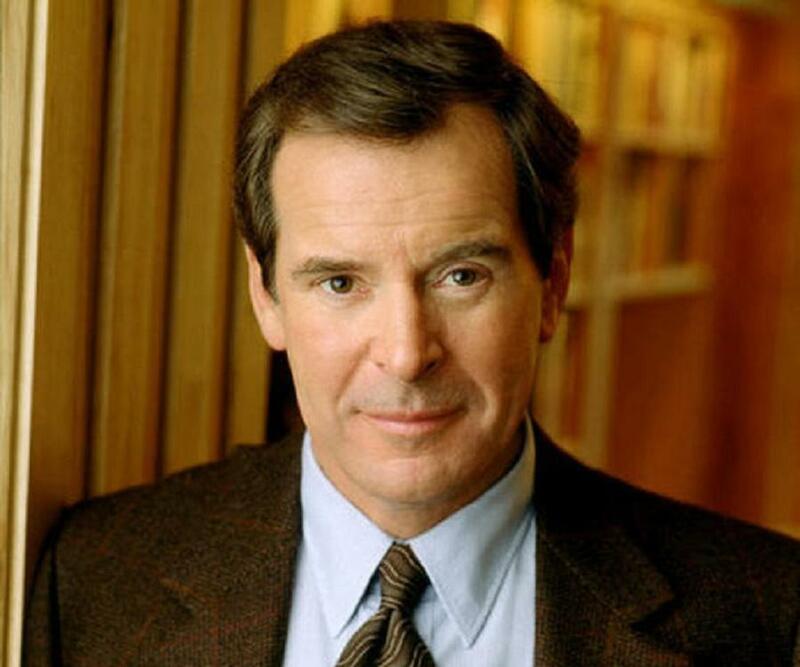 Peter Jennings was one of American television's most prominent journalists. He served as the sole anchor of ABC Television’s ‘World News Tonight’ for 22 years. A high-school dropout who started his career in journalism early, producing local newscasts on a Canadian TV channel, he joined ‘ABC TV’ to anchor its flagship evening news program. His inexperience was panned but he made a very successful comeback to ‘World News Tonight’ after a stint as a foreign correspondent reporting from the Middle East. 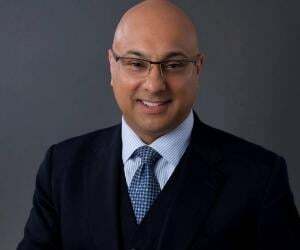 Initially, one of the three anchors of the show, he became its sole anchor and established his reputation as an indefatigable globetrotting television journalist reporting from every conflict zone and major world capitals besides all the states in America. Jennings was much admired for his ability to describe world-changing events calmly as they unfolded live; he often stayed on the air for marathon sessions to keep his millions of viewers up to date with the latest happenings. 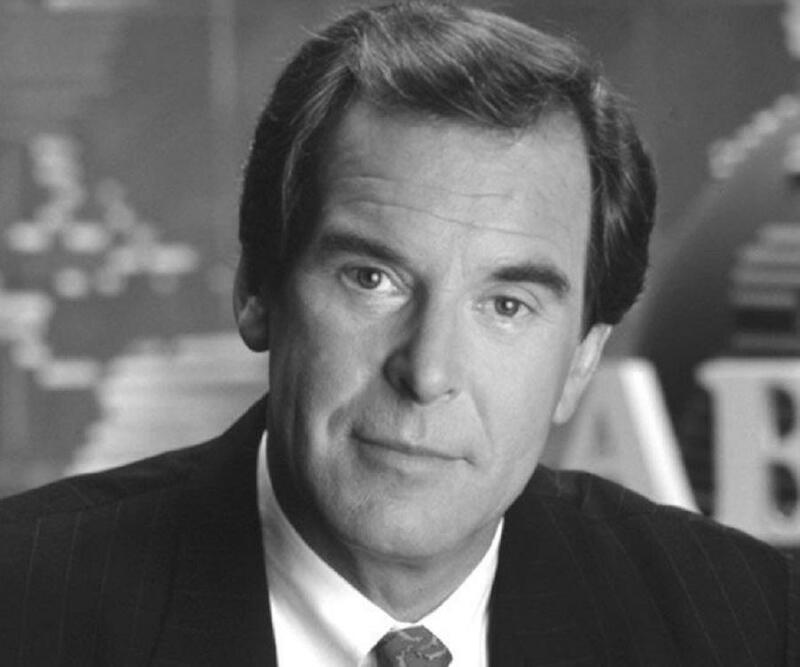 At the peak of the show’s popularity, Peter Jennings managed to reach a nightly audience of 14 million, sometime exceeding the viewership of competitors, ‘CBS’ and ‘NBC’ by more than two million viewers. Peter Charles Archibald Ewart Jennings was born on July 29, 1938, in Toronto, Canada, to Elizabeth (née Osborne) and Charles Jennings. His father, Charles, was a senior executive of the ‘Canadian Broadcasting Corporation’. Peter had a younger sister, Sarah. Peter’s first brush with broadcasting happened at the age of just nine, when he hosted a half-hour show for kids, ‘Peter's Program’, on ‘CBC Radio’. 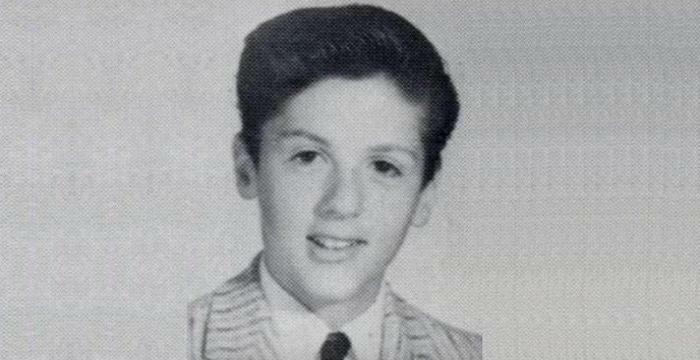 At the age of 11, he enrolled at Trinity College School in Port Hope, Ontario, but subsequent to his father’s relocation to the ‘CBC’ headquarters in Ottawa, Peter took a transfer to Lisgar Collegiate Institute. However, he dropped out after failing his 10th grade. Thereafter, he enrolled at Carleton University and then at the University of Ottawa but failed to graduate. In 1959, when Peter was in Brockville working as a teller at ‘Royal Bank of Canada’, he was recruited by ‘CFJR’, a local radio station as a news reporter. In March 1961, he joined a new television station in Ottawa, ‘CJOH-TV’, to produce a late-night news program but soon found himself hosting a dance show. 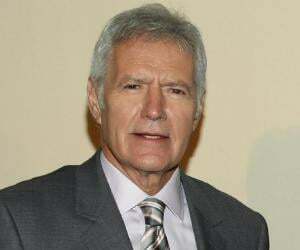 The next year, he joined ‘CTV’, the nation’s first private TV network as a co-anchor of the late-night news. In 1964, Peter joined the ‘ABC’ New York news bureau at a time when ‘ABC’ was lagging behind both ‘CBS’ and ‘NBC’ and WAS desperate to improve its ratings. On February 1, 1965, Peter was made the anchor of a 15-minute nightly newscast, ‘Peter Jennings with the News’; the 26-year old became the youngest-ever news anchor of an American network. An inexperienced Jennings had a torrid time and in 1968, Jennings quit the anchor desk and established ABC's Middle East bureau in Beirut, Lebanon, becoming the first American TV network to be present in the Middle East. Peter covered the rise of the Palestinian ‘Black September Organization’ during the 1970s and became the first American TV journalist to interview Yasser Arafat, the chairman of ‘Palestine Liberation Organization’. Jennings shot into the limelight with the coverage of the ‘Black September’ massacre of Israeli athletes at the Munich Olympics in 1972. He was able to provide the much-needed political context to an un-informed American audience and also deliver exclusive footage by getting really close to the hostage compound. In 1974, he was the co-producer and chief correspondent of a profile of Egyptian president Anwar Sadat, ‘Sadat: Action Biography’ that earned him his first ‘George Foster Peabody Award’. He returned to America to anchor ‘AM America’, ABC's new morning program that premiered on January 6, 1975. However, it failed soon and Jennings moved abroad once more as ABC's chief foreign correspondent to cover the Middle East. In 1978, he interviewed the Ayatollah Khomeini of Iran, then exiled in Paris, and became the first American or Canadian journalist to do so. In a major overhaul of the languishing ‘ABC Evening News’, Peter Jennings was appointed as one of the show’s three anchors; while he reported from London, Max Robinson in Chicago, and Frank Reynolds in Washington comprised the others. The show, now named as ‘World News Tonight’ premiered on July 10, 1978. Jennings continued to cover every major international event; the Iranian Revolution and ensuing hostage crisis, Sadat’s assassination, the Falklands War, Lebanon’s invasion by Israel, and the 1983 visit to Poland by John Paul II. Recalled to Washington to cover for the absence of Frank Reynolds who was ill with blood cancer and later died, Peter Jennings was awarded a four-year contract by ‘ABC’ on August 9, 1983. On September 5, 1983, he was also made the senior editor and sole anchor for ‘World News Tonight’. He operated from New York. His 11-hour coverage of space shuttle ‘Challenger’ disaster in 1986 earned him plaudits, as did his prompt and extensive reporting on the Loma Prieta earthquake in the San Francisco Bay area. Despite strong competition by ‘CBS’ and’ NBC’, ‘World News Tonight’ ended 1989 at the top of the ranks, beating ‘CBS’ for the first time. When the Gulf War broke out on January 16, 1991, Jennings’ coverage led ‘ABC News’ to its highest-ever ratings; he personally anchored for 20 hours in a marathon live coverage of 48 hours. 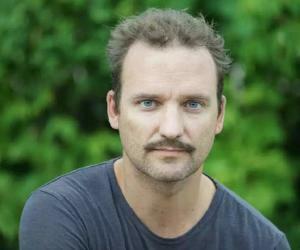 In mid-1990s, Jennings earned critical acclaim for devoting more attention to the Bosnian War than on the O.J. Simpson murder case. Harvard University’s Kennedy School of Government awarded him the ‘Goldsmith Career Award for Excellence in Journalism’, largely due to his devotion to the coverage. His in-depth coverage of the Quebec referendum in 1995 was especially praised by the Canadian press. On the eve of the event, he was the only anchor to broadcast from Canada. Jennings got together with Todd Brewster, a former ‘Life’ magazine journalist to write a book on 20th-century America, ‘The Century’ to accompany an ‘ABC’ series of the same title. In December 1998, after just one month of its release, the book topped ‘The New York Times Best Seller’ list. With Jennings as the anchor, ‘ABC’ premiered the first of 6-episode miniseries, ‘The Century’ on March 29, 1999. In April 1999, ‘The Century: America's Time’, the 15-hour version, also anchored by Jennings, was broadcast on ‘The History Channel’. Jennings anchored ABC’s mammoth millennium eve special on December 31, 1999, ‘ABC 2000 Today’, for a herculean 23 straight hours. According to estimates, 175 million, including 18.6 million prime time viewers tuned in beating the other networks hollow. While the $11 million program generated $5 million in profits, it did not have any long-term impact on the ratings; ‘World News Tonight’ slipped back to its number two position after the first week of the new millennium. Peter Jennings is also remembered for his 17 straight-hour-coverage of September 11 attacks. In a second collaboration with Brewster, Jennings commenced writing a book, ‘In Search of America’ in 2001. He undertook a 50-state tour in April 2002 and also anchored a six-part television series in September 2002 to promote it. The TV show was successful; however, the book did not do well at all. His health was visibly failing for some time and on April 1, 2005, Jennings made his final appearance on ‘World News Tonight’. Through a taped message, he informed the viewers of his lung cancer and of his intention to return at the earliest; however, that was not to be. ‘World News Tonight’, an evening news show on ABC Television with which, he stayed for his entire career and acted as its sole anchor for 22 years. Blessed with matinee idol looks, Peter Jennings married four times. His first marriage was on 21 September 1963 to Valerie Godsoe. The marriage ended in 1971 when Valerie divorced him. Between 1973 and 1979, he was married to Anouchka (Annie) Malouf, a stunning Lebanese photographer and socialite. His third marriage in September 1979 was to author and ‘ABC’ journalist, Kati Marton; the couple had two children, Elizabeth (1979) and Christopher (1982) before they parted ways in 1995. On 6 December 1997, he married Kaycee Freed, an ‘ABC News’ producer to whom he remained married till his death. Peter Jennings died of lung cancer on 7 August 2005. He left behind a $50 million estate, half, willed to wife, Kaycee, and the rest to his two children. During his lifetime, he won many awards, including two ‘George Foster Peabody Awards’ and 16 ‘Emmy’s. In October 2005, he was inducted into the ‘Order of Canada’. The block in which ‘ABC’ headquarter is located was named ‘Peter Jennings Way’ by New York City Mayor Michael Bloomberg on February 21, 2006. 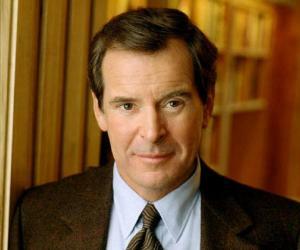 Peter Jennings was inducted into the ‘Academy of Television Arts and Sciences' Television’ ‘Hall of Fame’ in January 2011.